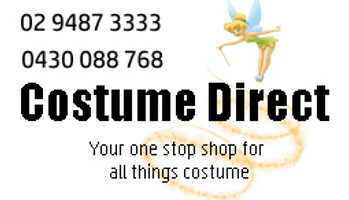 Costume Direct is the one stop shop for amazing Christmas and Santa costumes! These costumes all come with fast shipping from Sydney, Australia. Spread some jolly cheer this year in your very own Santa costume! With everything from Santa's beard to his ringing bell to his belly, Costume Direct has all you need to do Father Christmas justice! From the traditional bearded, big-bellied, red Santa costume, to Scrooge's 'Bah Humbug' suit, your every need for your Santa Claus costume will be met. We have short-sleeved suits for Santas more accustomed to the Summer climate, and rich velour suits to pair with beards, glasses and hats for Christmas parties, shopping mall displays and community events! Get practicing the catchphrase 'Ho! Ho! Ho!' and soon it will become difficult to tell you from the real Santa Claus... With the help of CostumeDirect.com.au, you'll have jingle bells ringing all the way through the Christmas season in one of our amazing Santa costumes!